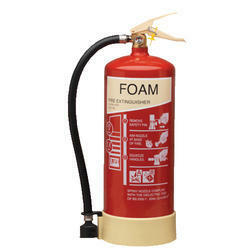 Backed with our modern infrastructure we bring forth a range of Fire Extinguishers CO2 Type. 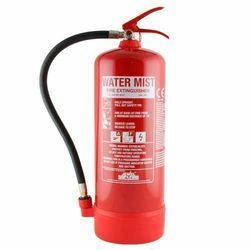 With their quality strictly as per IS:2190 for satisfactory performance, these extinguishers are available in varying quantities and spares. Construction : Cylinders bearing IS: 7285 & brass forge valve IS: 3224. Specification no. : IS:2878, latest Revision followed. 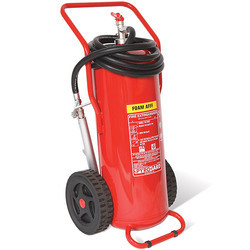 Complete Weight-Empty with Valve,Hose,Horn : 15 Kg. Complete Weight - Charged : 23 Kg. Filling Ratio : 0.667 Kg/Ltrs. Overall Height with Valve : 955 mm. Working Pressure : 58-60 Kg/Cm2. Charge : Co2 confirming to IS: 15222 & Filled with liquefied Co2 gas filling ratio <=0.667. Finish : Painted in synthetic enamel red/fire re epoxy polyester coating. Accessories : Wall mounting brackets & trolley for 6.5, 9 & 22.5kgs. 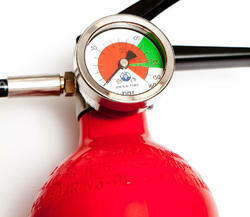 Operation : Keep Extinguisher upright and hold in hand firmly. Remove safety pin and turn the wheel anti-clockwise. Direct discharge at the base of the flames. Maintenance : Strictly as per IS:2190 for satisfactory performance. Diameter of Cylinder 140 mm. Diameter of Cylinder 140 mm. 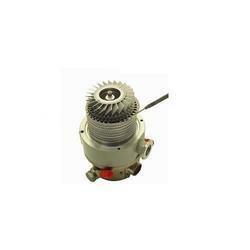 Range of Discharge : 2.5 to 3 meters. Duration of Discharge : 30 Seconds. Length of Hose Pipe : 1 meter. Construction : Cylinders bearing IS: 7285 & brass forge valve IS:3224. Complete Weight-Empty with Valve,Hose,Horn : 21 Kg. Complete Weight - Charged : 30 Kg. 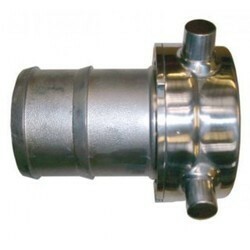 Overall Height with Valve : 1210 mm. Duration of Discharge : 32 Seconds. Length of Hose Pipe : 3 meter. Duration of Discharge 24 Seconds. 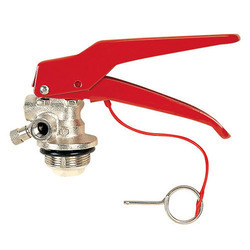 Complete Weight-Empty with Valve,Hose,Horn : 10 Kg. Complete Weight - Charged : 15 Kg. Overall Height with Valve :660 mm. Diameter of Cylinder 140 mm. Duration of Discharge :24 Seconds. Charge : Co2 confirming to IS: 15222 & Filled with liquified Co2 gas filling ratio <=0.667. Finish : Painted in synthetic enamel red/fire re epoxy polyster coating. Construction : Cylindrical shape body fabricated from M.S. sheet of IS:513 grade and all are of welded construction. 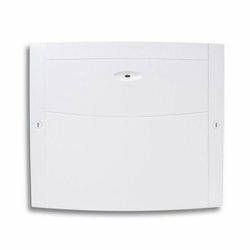 Specification : IS:2171 Latest revision followed. Anti-Corrosive : Body coated with lead and tin treatment alloy internally and externally by electronoc deposition process / Epoxy Powder coating / Phosphalised. Testing : Hydraulically tested to 30Kgf/cm2. Finish : Fire Red Epoxy polyester powder coated/painted in syntheic Enamel Fire Red. As per IS shade. Accessoried : Wall mounting brackets. 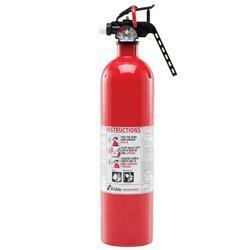 Operation : Keep the extingusher in upright position and remove the safety clip provided on the cap. Hold the nozzle in hand and then strike the knob. 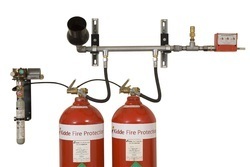 This will puncture the CO2 gase cartridge and thereby releasing CO2 gas which expels the powder out through the nozzle attached to the hose which is to be directed in a sweeping motion the base of the flames. 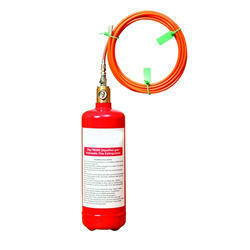 Co2 Gas Cartridge / Cylinder : 300 gms. Complete Weight - Charged: 15 Kg. Overall height with Cap: 595 mm. Working Temperature Range (0º C): 27+-2. Range of Discharge : 6 meters. Duration of Discharge 60-120 Seconds. Complete Weight-Empty with Valve,Hose,Horn : 4.2 Kg. Complete Weight - Charged : 6.2 Kg. Overall Height with Valve :565 mm. Diameter of Cylinder 108 mm. Diameter of Cylinder 108 mm. Range of Discharge : 2 meters. Duration of Discharge :18 Seconds. Length of Hose Pipe : w:st="on"Bend Pipe. Complete Weight-Empty with Valve,Hose,Horn : 6 Kg. Complete Weight - Charged : 10 Kg. Range of Discharge : 5 meters. Duration of Discharge :20 Seconds. We are offering a wide range of DCP Squeeze Grip. 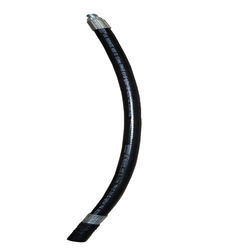 We are offering a wide range of DCP Type Discharge Hose. 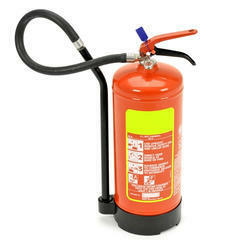 we are offering a wide range of Auto Fire Extinguisher.